HealthCare.gov was intended to make buying health insurance as easy as buying a television or plane ticket online. Instead, it was an incredible mess that frustrated millions of people and fueled a political firestorm. Among those millions of frustrated users was a professional software tester, Ben Simo. After failing to even create an account, Ben put on his tester hat and turned on his web developer tools as he pursued health insurance. Along the way, Ben encountered numerous functional, performance, and security bugs. As he tested, Ben shared his discoveries on his blog and social media. Ben’s reports attracted attention that helped lead to fixing some of the problems; including a chain of security vulnerabilities that put people’s information at unnecessary risk. Ben’s reports gathered him a variety of public labels including "web expert", "methodical IT guru", “folk hero”, and "not too bright". Join Ben as he shares stories from his experience testing and sharing results in the midst of one of the most political public software release failures ever. 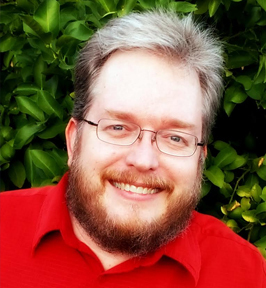 Since accidentally stepping into testing over a quarter century ago, Ben Simo has learned and applied his skills as a software investigator for companies large and small; spanning a variety of industries, including: defense, healthcare, finance, education, cloud computing, and marketing. Ben approaches software testing as a cognitively complex activity that requires critical thinking, effective communication, and rapid self-directed learning.